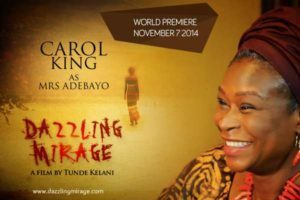 Tunde Onikoyi: You saw a film in England that is, Family Affair directed by Jane Turbon which inspired the production of Dazzling Mirage. What is the connection between both films? 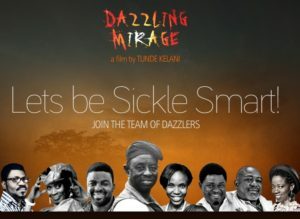 Tunde Kelani: Well it is a short film about thirty five minutes, and it was commissioned by the National Health Service in London to draw society to the awareness of Sickle Cell Anemia. It was particularly targeted at the minority population in the United Kingdom. What attracted me was the fact that the filmmaker used a cast of Nigerian actors and actresses that I am familiar with. When I saw the film I was impressed by the production. So, before then I had nursed the ambition to do something like it, and if I came across a material or a story about Sickle Cell Anemia I might do it. Sure enough I really did not know how it happened. I met Yinka Egbhokare, and then she offered me her novel, Dazzling Mirage. I read it and instantly I knew I had found my story. So the first thing I did was to try and contact the writer of the screenplay of Family Affair. I saw the end credit and then, I noticed it was Adeola Solanke and for a long time I had been trying to contact her. I went to the African Film Festival in London where I screened Maami. During the question and answer session someone got up and asked a question, and introduced herself as Adesola Solanke. And then, I said “Adesola Solanke you wrote the screenplay of Family Affair-I have been looking for you. I have a job for you”. When we met to dialogue, I told her that I thought I had found a better story than Family Affair, and I needed her to do the screenplay. So, that was how we started. TO: So a working relationship began. Adesola Solanke is not related to the veteran actor Jim Solanke is she? TO: Do you think you could have actually conjured up something as good as the novel for your Sickle Cell story, if you had not seen Yinka Egbokare’s book? TK: Well, I had about four projects on my hands, it will depend on the factors to determine which was more important for me to do at a particular time. And then another factor would determine which the next project to do was. 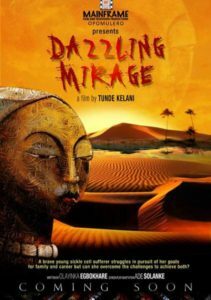 And again you know, most of my works are adaptations from literary materials, I found Egbokhare’s Dazzling Mirage rewarding in the sense that, it became a natural process for me when I move first from text to screen. First of all the process of my operation is from orature, folklore and then to text, and then from text I go to screen. I now have the new version of the book, and the cover is designed from the scene in the film. So this time it is like going from orature to text and then, to film and back to text. This I have found really interesting. So what I suggest to people is that, they should find the book to read first, watch the film and read the book again. That is the best way I think someone can enjoy it. TO: And the fact that the story deals with a health issue? TK: No not really, that is not the point. The first thing is I look for an entertaining story and that is important. This is not a documentary in a sense that deals with Sickle Cell. It is a love story that deals with people living with Sickle Cell Anemia: a genetic condition. I would like to see it that way. So primarily it is a love story that treats the theme of Sickle Cell Anemia, rather than a film about Sickle Cell anemia. TO: Yes, I understand that but, my thoughts gesture towards a point. Apart from seeing it as an entertaining love story, it would also by the wayside, draw people’s and even other filmmakers’ attention to the issues of health which it treated. TK: You can say that but, I am just telling a story. The entertainment value would take care of the rest and, the meaning comes later. The relevance of the story is later recognized or identified, whether it is social, political, economic, religious, and so on. I have always wanted to do meaningful films. For me it is a natural process. I do not go out of my way to say that I am going to make a film about anything, or agitate for some kind of change. Basically, the whole process might just lead to change, and that is a wonderful thing but, it is not my role to say I want pursue this or that agenda. TO: Speaking about change then, one notices that Sanya’s mother in the film does not approve of the relationship between her son and Funmi. And this attitude is almost common among mothers who find their children in such situations. A change of impression on how to relate with a potential daughter-in-law as preached, by her son does not make any difference to her. TK: In a normal situation it is expected. For instance, in a Yoruba family and among people of that culture, it is necessary for a family to find out, about the family into which the son or daughter would be engaging with as in-laws. You know they get to find out about so many things, and among those things is the issue of genetic incompatibility. They may also want to find out if there was a case of one family member or the other who had a case of mental illness. So, if they find anything of such it is quite natural they might not encourage the wedding to take place. But in modern times young people do find themselves, and fall in love, and even if they found out that there is something wrong with either, they may want to encourage themselves to go on. That is what I have come to realize happens. So, it is possible to have characters like Sanya’s mother all over the place and in our society. TO: The film in itself was enough to help our ignorance about those who have the disease, and how to relate with them. TK: Well if the genetic condition is managed, it can’t be treated in any case. The film does make that point. People should go for the test, they must find out what their individual genotypes are before they venture into the wedding proper, and before it gets out of hand. Usually, when they must have made adequate preparation for the wedding, and then they eventually find out that they are actually incompatible, they will not be able to do anything about it. TO: But in spite of the fact that we seem to be modern, even if Sanya’s mother was aware of some of the challenges faced by Funmi as a Sickle Cell patient, and was fully educated about how to treat people like her do you think she would have allowed her son to marry her? TK: What the film illustrates is this: whatever decision you take if you knew or you had access to information about the Sickle Cell disease, you will be doing it from an informed position, and not out of ignorance. We are in a knowledgeable era and information on such things should not be difficult to find. That is what the film advocates. You just have to be informed. And it is suggested that every single person should know his or her genotype, and know the consequences of incompatibility if the case is different from what one desires. But if one decides to go on, at least the proper medication can be made available to help the victim manage such hazards. Voluntary Platforms and organization too will perform their roles to cater for their psychological needs. For instance, the Sickle Cell Foundation, as illustrated in the film, is a typical example. TO.I will suspend our discussion on Dazzling Mirage for a while, and move over to some other things, because I would like to talk about Thunderbolt as well. About twelve to thirteen years stand between both films, but I find a kind of connection in the love stories of both films. Although, Thunderbolt depicts something that is essentially traditional or something that evolved from the culture of the Yoruba people and has existed all through, into the modern age. 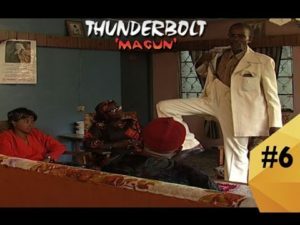 This is magun, and your story is situated within the modern Nigerian era. I will begin by asking, does magun really exists? TK: It depends. You know you cannot say it does not exist. People may go on and say, it does not exist. I mean, one must be living in a cloud cuckoo land to think that magun does not exist even in the twenty first century. You know people still believe in magun, but we have got to a point in our existence where I think that before we believe anything we have to bring a proof of evidence. We do not have excuses anymore. During the making of the film, I went as far as approaching people, and I interviewed them. It was almost like an appeal. If they found any case of magun they should get across to me. Today, in our present times, if anyone came across anyone under magun attack they can bring out their smart or iPhones and take photographs to show us. That is what I am saying. We have advanced beyond the point where we try to argue about whether it is myth or reality or mere hearsay, because there is a proof. TO: So during your research did you find any proof? TK: I did not find any proof. But I did find medical a doctor who told me that in his neighborhood, a fellow was under magun attack. When he went to the scene, he was shocked to find that the victim was his patient. 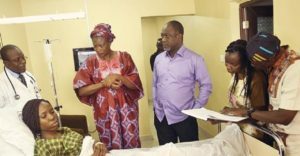 He debunked the truth about the magun attack, and said his patient had high blood pressure and so on. But no one took him serious. They did not even listen to him. Somehow, and you know in modern times, with health care facilities all around us, if magun exists I think it is on the decline because, nobody has reported about any case in the last few years. TO: That is surprising. While studying as an undergrad in Ibadan I think it was in 2003, at some point I took a trip to Lagos to see my mother, and on a certain Sunday morning I went to church. You know how it is in church, when you become aware of a miracle. There was this woman reported to have been under the attack. I saw the woman and she was present at that service. According to reports she was actually laced with magun, and was advised to stay in the church for twenty-one days to go through the ritual of some prayer and fasting exercises. TK: Did you see the woman? TO: Yes I did. And the old clergy man claimed he saw the Magun leaving the woman. The woman is still alive anyway. Still saw her in the neighborhood when I visited recently. TK: I have heard of various kinds magun. You know, there is magun of “do not drink water”, “do not cross a gutter”. But I have never heard about someone seeing magun leaving a woman’s body until you narrated your story. That must be a new one. A miracle of some sort. TO: A miracle yes. That was what the clergy man said happened. It was a miracle. TK: Do you believe it? TO: Well does it matter here what I believe or what I do not believe here? But I think I do. Some of us believe in miracles too. 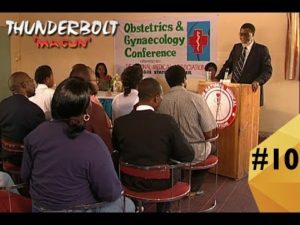 TO: What do you say Thunderbolt is about? I know that there is a literature available that led to the film adaptation, but this story appears more about a woman’s challenges with magun than the love story. Although, the love tale did have a way of prevailing in the plot as well? TK: You know several things have happened. What intrigued me about the making of the film was the material itself, coming from a renowned Yoruba scholar, the late Adebayo Faleti. He wrote this material in English, but people wondered if ever he was going to write a novel in English. Apparently, he wrote predominantly in the Yoruba language. And he did prove them wrong. At that time I had developed a reputation of working in the Yoruba language and culture, and critics had started to write me off, thinking perhaps I could never do anything in English. It was this work by Adebayo Faleti that gave me the opportunity to do that. I succeeded in doing a film in English, and quite legitimately so, it was the adaptation of a book written in English that I found interesting and sufficiently fulfilling. Apart from that, there is a uniqueness we both share; that is Faleti and myself. 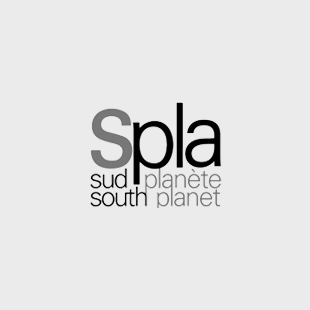 The quality in the unique approach of creating cultural production. The story is very simple. It is about two very young people who were on their primary assignment. They found each other. The man is Yoruba and the girl is Igbo. That relationship led to a union, and in such a home the language of communication will no doubt be English. And it is even possible that the children from such a union will adopt the English language as the trope for communication. But the parents, if any of them had to visit the couple, the mother of Yinka the husband, would speak Yoruba to Yinka, while the father of Ngozi would speak in Igbo to his daughter. I found this very interesting, and it gave me the opportunity to delve into the significance of both languages. Again, the film is about two great cultures in Nigeria, in spite of the diversity. This is what our country offers. The film illustrates a burden on so many levels, and then we throw in the myth or reality of magun. 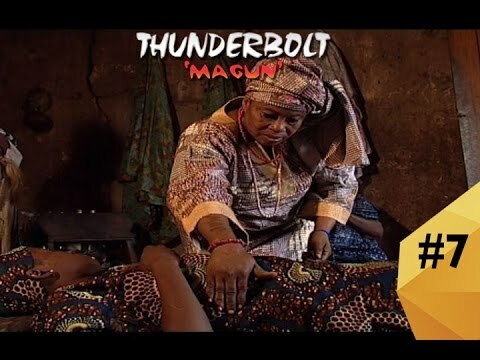 TO: What we learnt about the myth of magun was that when Yoruba men go to war, they laced their wives with magun, in order to put them in check of their fidelity, and in order to find if their women have or not have been promiscuous or adulterous while they were at war. TK: Yes. That is true. TO: And if such women were found wanting they would not survive the effect of magun, which had been laced upon them. Also, the male who gets involved with these women would have also died from the effects of magun. TK: You are very correct. You see if you consider the end part of the film, the notion of the entire story is that there are two tribes: the good or bad tribes. Spouses can feel insecure or jealous if, for instance, in the case of a man, who notices that his wife has a lot of in heritance, is well-educated, has a lot of admirers and so on, I mean all that would naturally make the man feel insecure and jealous. That was the motivating factor. Yet again and just as the end scene illustrates that among our tribes there is a lot of suspicion in Nigeria today. But again, Ngozi makes a very good point that, there are no bad or good tribes, it is only the good and bad person that exists. And that is why she still ends up marrying a Yoruba man, the medical doctor. TO: With regard to the issue of ethnic rivalry, Ngozi’s father initially never approved of his daughter’s wedding to Yinka, and this development played out concretely because, Yinka eventually behaved badly, as an individual Yoruba person. Again, it brings one to a realization of what the other Igbo boy had told Ngozi at the camp parade. He told her she would regret her actions of getting involved with a Yoruba guy. TK: But she eventually ended up with another Yoruba man. You see these things are normal in our societies. Some marriages never go well anyway, but the couples persist. I do not what you think about it but for me, it is a really exciting story. 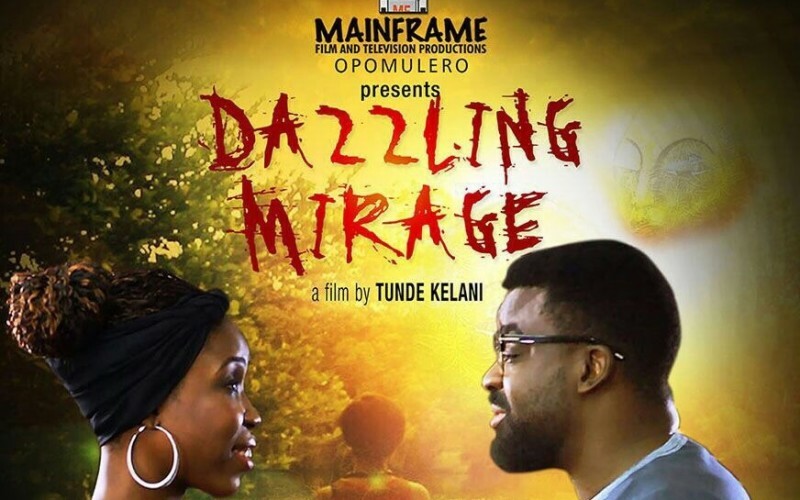 TO: Between both films Thunderbolt and Dazzling Mirage. I see a lot of connections. Let us consider the relationship phenomena. 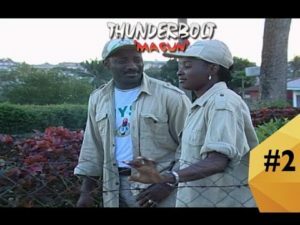 The relationship between Ngozi and Yinka in Thunderbolt turns out sour, because of Yinka’s inconceivable character and sense of wickedness. In Dazzling Mirage, Funmi and Sanya’s relationship also turns sour, not only because of Sanya’s lack of confidence to be firm about the lady he chooses to marry, but also because his mother was a stumbling block. However, she may not have succeeded if Sanya, had been decisive enough to pursue his intensions with Funmi. His mother, also eventually instigates a relationship between Sanya, and his research assistant. Now, if we take a look at these two films, we will notice that, the men Ngozi and Funmi ended up with were the most unlikely men. For you, and for the vision that you had for both Thunderbolt and Dazzling Mirage, were they natural cause and effect phenomena and, did you orchestrate them? TK: No, they were just natural. Look around and talk to people, many of us never end up marrying the people that we desire. Every one of us. Perhaps a small percentage do, but a majority do not. Look, you will find it in Arugba, Ole Ku, Narrow Path, and Abeni. It is just a natural process. Emotions are played out even at that young age. Things happen and sometimes, you find out that a lot of young lovers are confused, so they end up with the wrong person. But later they eventually find the right person. This is how I have seen life as far as I am concerned. TO: Ngozi was very lucky, and so was Funmi. For someone like Funmi, if she had a chance to commit suicide, she would have done that easily as she was a Sickle Cell patient, and painful enough, was the fact that she later found out that her foster parents were not her biological parents. These factors, were enough reasons for her to commit suicide, which she actually attempted as seen in the film. The same thing can also be said about Ngozi. Ngozi, was also lucky because, she found a guy who could die for her. These experiences are unique with these two characters. But more than any of your other works I think these two works have amazing characters in both Ngozi and Funmi that bring out those factors that make both works resonate deeply. TK: I think you are correct there. From my experience of growing up and all that, somehow this resolve hopefully end up happily for some people, but for others it is not the same. But generally, there are solutions to all the complexities associated with these issues. And I dare say, if in a work like The Narrow Path, Awero’s story should proceed further she would have found someone also. But with the kind of outcome that occurred the question would have been, will the family or her husband be ever willing to take her back. TK: But if you look closely in Yoruba societies there are women who on the night of their wedding were found out not to be virgins, and they decide to insult her, cast all sort of aspersion, call her all sorts of names, but again-when the children begin to come, every one becomes happy, and they forget about the indiscretions of purity or uncleanliness before marriage. They now pay attention to the children more. I think society has a way of solving these problems. 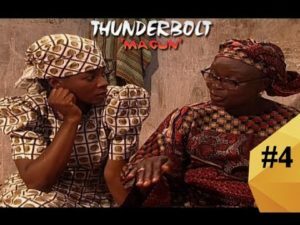 TO: And to think that the male character was almost pursuing her in such an unethical and immoral manner, I speak here of the medical doctor in Thunderbolt, which elicited Ngozi’s antagonism and constant anger whenever he occasionally came wooing her at her place of work. TK: She was a married woman, you know the typical Igbo woman understands the integrity behind fidelity. The case of infidelity is a taboo to that society, and no matter what anyone says. Promiscuity is not an option for them. Ngozi, was a proudly married Igbo woman, and it was something her so called suitor did not understand. TO: Well, he wanted to have a fling but then, you could not tell, he was also serious in a way because, he also loved her. TK: He grew to love her more. He started to respect her when she was constantly proving difficult. Because he was just wondering what else she wanted. He was a trained medical doctor who was residing in a village, well respected by all the village folks, and he also had a car. This was absolutely rare. Ladies would die for him, but this lady would not. So he began to respect her from the moment he dis covered that she was less interested in his peculiar advances. TO: The circumstances surrounding her life, and then of course her dignity and integrity as a woman, and if you like as an Igbo woman. But for Funmi and her boss Mr. Toyibi, the antagonism between them was essentially based on issues of work commitment, before they eventually fell in love with each other. In fact, the love phenomenon between the two of them was more instigated by Mr. Toyibi, who grew to love her. He loved her for her determination to survive, to make an impact in life, and to forge ahead with what she was good at. Her posture at work was that of defiance because, she believed she was instrumental to the company’s successes, and for winning the contract. Now, her defiance was not because her boss wanted to lay her off based on her health issues, which, also meant that she was unavailable at work for most part of the week, but because of the fact that she played a key role for the company’s eventual success of winning a high profile contract, and Mr. Dotun Toyibi never recognized that. She thought it was so illogical. TK: That is what happens in the corporate world, and in this part of our world where people really discriminate or, they are biased. It goes further to say for the handicap in our societies, no one gives them a chance. In the corporate world people are motivated by profit, efficiency and all of that. If you look around, this discriminations are not farfetched and perhaps, Dotun himself was acting from the point of view of an ignorant person. But again, he applied himself to study the young lady’s tenacity. He understood that, in spite of her condition she could still work, get results and live a normal life as manager of a company, like any other person and even perform better. Nigerians are guilty of this sort of thing. We hardly provide opportunities for the handicap. Nobody cares or bothers about them. TO: If this occurred in reality I think it would be a one-in-a-million-cases. Normally, she would have been laid off. TK: Yes that could have happened. But in her case she was determined to remain, and that is why in spite of all the agonies she goes through she says to her parents-“Leave me alone I can take care of myself.” Yes, she fell sick from time to time but, she fights. She is always in constant fight. This brings me to make a point that, all women are constantly fighting in our societies for one thing, or the other. For me whether consciously or unconsciously, I have come to think that the African woman has not been appreciated enough. You know, we have not given the African women their due respect and their place both in the traditional and modern societies. Even up till now it has not happened. This is very interesting because I had wanted to do Femi Osofisan’s book Wuraola Forever. And then, I read the novel, and then I told myself; “Here we go again, this is another woman.” These are the categories of stories that I get to film, as I go around in search of a fascinating story let alone, a good literature. TO: I think they are based on circumstances of a particular woman too. The particular female person you actually choose to explore, and somehow, you now find a resolution that favours them at the end of the day. But in the case of Wuraola Forever, she could not have been helped in any case, so I am wondering, how would you solve her problem? TK: Well, I do not know. But I will do it. It is difficult to say how one encounters these stories, but I will do it. Once I get the funding. Although I will not deny that I have not been distracted by other projects anyway. Perhaps if I got funding, I probably will not do that I would just pursue something else, and then come back later to do it. TO: I notice the character of Ngozi’s father’s was given a lot of credibility in the story, but Yinka’s mother was not developed as much as it was for Ngozi’s father. TK: Well I do not know Yinka’s mother never liked Ngozi. So in the first place, there was no cordial relationship. For instance the baby’s name was Akin, and both parents-Ngozi and Yinka called him Hero, which actually means Akin when translated to Yoruba. So, each time the mother called the name of the boy out as Akin, she would expect that Yinka, would also call him Akin instead of Hero. It devastated the old woman. It did not make any sense to her. And then she says, “What is that? What is Hero?” Similarly you will find it in the gastronomy. When the wife is not at home, and Yinka goes to prepare the meal and brings it over to his mother, and then the mother says: “What on earth is this?” Now for the Yoruba people the white processed Cassava is usually transformed into white Garri, and while the Igbo Garri is Yellow after being process. Obviously, Yinka would eat his wife’s food but, the mother finds this ridiculous, especially as she is being served such. And then the mother, having realized that this is what she will be eating says, “No, I cannot have stomach aches”. You see that kind of protest will constantly come, in so many ways. It could have gone on. TO: Yes her character was key to such unpleasant postures anyway. I thought it was not adequately blown up in relation to the entire film. In such situations one would have expected that the cold feelings that mothers have toward unwanted and unloved wives would permeate the sequences. TK: That could have been done. Yet again, it is a story that is directed to a certain point. You need to avert distracting your audience with unnecessary details that do not help the plot. TO: Funmi’s quarrel with her foster parents started from the realization that, they were aware that she would have constant health problems. However, they did what any biological parents would have done: kept the baby. That is to say giving the baby a supposed chance to survive; a fifty-fifty chance. For Funmi not to understand that makes one realize that she was a little unfair to her foster parents. TK: What was really frustrating for Funmi was that they ought to know the very implications of bringing her to the world because, they themselves were medical experts. That was her point. As a medical doctor and a nursing sister respectively they knew the consequences. But she did not realize that they kept her for many reasons, not just because they wanted her to survive, but for the fact that they themselves were unable to have children. They were not just going to risk it but they loved each other so much, and the best they could do was to adopt and keep Funmi. Both of them decided to stay together in spite of their fate, until she, Funmi, came into their world. TO: Not knowing that the child they adopted was a Sickle Cell person. TK: Yes they got what they craved for but only to realize later that, she had Sickle Cell. Again, Funmi had to understand the whole thing later, when she discovers that they were not her true parents. TO: You have a way of choosing your talents. Kemi Lala in an interview said she actually walked into your office and then, you thought she fitted the portrait of the person you needed. But then, your relationship with Kunle Afolayan dates back to the Saworide days. 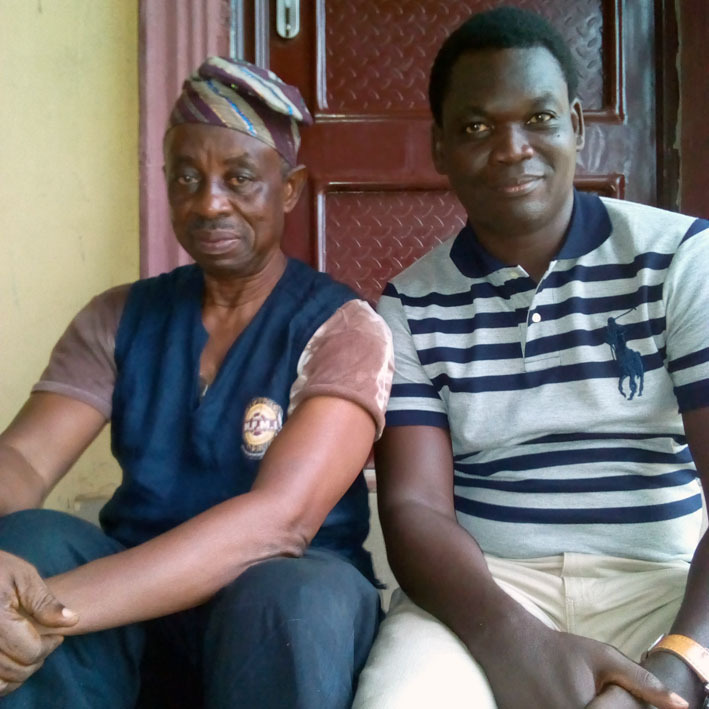 Adebayo Faleti of blessed memory was also in a couple of your films like Thunderbolt, Agogo Ewo and so on. How do you make your choices? TK: I like using talents sometimes, when I am getting ready and seriously considering a story I am deeply passionate about, I begin to see those opportunities. Sometimes it is just my feelings; about a role or someone who could fit into one role or the other. I suddenly see it, and when I come across someone by share luck, I tell myself “Wait a minute, this is the person I imagined for this role or that role.” For some of the projects I am yet to do, I have mentally done the casting. TO: Do you run auditions at all? TK: Sometimes I do but there are certain principle parts that I retain for some people I must have come across in my life. Sometimes, I would have references to support the actor. If we must have done the casting and, we are at rehearsals and then I find out the role is not going well with someone I might swap it. For instance one of the characters that amuses me is Lere Paimo’s role in The Campus Queen. When he played a role of a man close to the establishment, the political elites. He was a representation of the elite. This was on his first scene with Sarah Mbaka who was a student of geography at that time in the University of Lagos. Sarah Mabaka was also convincing as a campus queen. Hers was by a stroke of luck, and we took a chance with her carriage, her debonair and her entire style of performance. I threw her in for the first time with veterans like Lere Paimo, and she gave a good account of herself. And when Lere Paimo was not coming forth with the role, I had to tell him to play the role like the way we understood the behavior of one of the Nigerian political stalwarts, now late- ALhaji Arisekola Alao. And that was all he needed. Just that little hint. 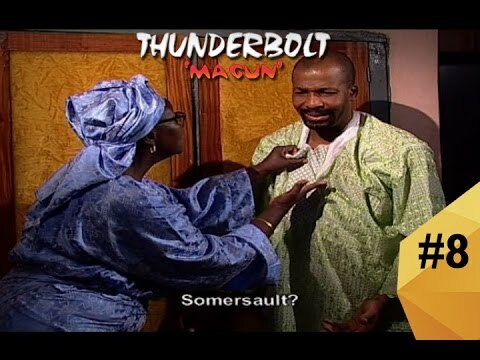 And all of a sudden he is bubbling in this role, despite the fact that it was in English and not in Yoruba. The truth is that Africa, and Nigeria in particular is filled talents. At times as a director you need to do some extra work, and search a mile further and work at these things. And then when you find what you want in an actor, you now work on that actor to obtain what you really desire which is what I do. So, I really do not coach actors as such. I just give them a little piece of advice that will help them through. I allow them consider points of references and they explore and enjoy those references. TO: Lere Paimo was in O Le Ku and also, in Arugba. TK: He was also in Abeni. You know he is like a creative talent that you could imagine when you consider the Nigerian football team, the Super Eagles. The coach is able to determine who he will have play a particular position, among members of the team. He knows the people he can consider for a role, and you can count on them to deliver well. And that gives you room to concentrate on others. TO: And then you also had Larinde Akinleye, also of blessed memory. TK: He was such a bomb. Larinde Akinleye can play any role given to him. I mean, he is a deep and peculiar actor. TO: He was very humane and convincingly so, as well as comical in his role as the school headmaster in Thunderbolt. TK: He was such a terrific actor. You know I combined several styles that constituted the Yoruba Travelling Theatre tradition. I count on their spontaneity which is very interesting to me. I know how to use them. 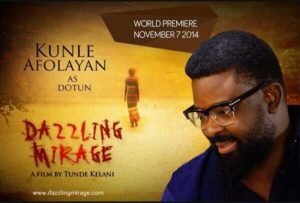 And then for Kunle Afolayan, people actually think that he was better as an actor in Dazzling Mirage than any other film, even his own The Figurine. Not too many critics gave him a chance in the film, but he managed to convince a lot of people in the role as Mr. Dotun Toyibi. For someone like Kemi Lala, she was very convincing, and a lot of critics and observers thought she was a Sickle Cell patient herself. They did not believe she was not a Sickle Cell patient, and she was so convincing. She did not overdo it. She did a lot of research into the role. TO: Yes indeed Kemi Lala was exceptional and in the online interview she confessed that she was actually tutored by a close friend who herself was a patient. Her role was indeed convincing. TK: It was fascinating and it was fun to see her exert so much energy on that role. TO: And then with Kunle Afolyan, when you think of him in his hay days as an actor, he was not as spectacular as he is now. Someone was likely going to see him back in the days as a green horn. TK: It would be interesting to speak to him about this phenomenon. You know the first time we met and this was years back. He came to me and then told me he wanted to become an actor, and then I told him he could not because he had to first get an education. That was just a piece of advice, and he actually took to that advice. So when he returned and had successfully completed his education, I had to accept him for a role in Saworoide. Before then he would visit me in my home, and we would watch a lot of films together. That is why up till today, I am yet to find someone among Nigerian filmmakers who is as passionate as Kunle Afolyan about cinema, among his peers. Kunle Afolayan will watch everything. He is very intelligent. When he sees a film he would remember the actors’ lines, their names, and would mouth all the songs in a film. He is just an encyclopedia of cinema. TO: I think it has paid off for him very much. The kind of influence you have had on him has also, helped developed his own idiosyncratic style. TK: I am happy about his development so far. And that is why in spite of that influence, our works are not the same and that is how it should be. I appreciate him a lot. TO: And again thinking about your own choice for styles that gesture towards your filmmaking, I think these elements and styles have successfully worked for you. You know, like imagining you have surreptitiously developed for yourself that travelling cinema in some way. TK: I am drawn from all sides and you know, these things mark me out differently. Adopting some of these traditions, watching several films and then doing my own interpretations in order to carve out my own peculiar style. So I come up with a unique style that is different from others. You can’t place it or predict it. I think it is honest, and none pretentious. It is just expression. Sometimes, it is difficult to teach, because, you need to convince yourself that you know it. Look around you, these days there are influences from outside, and one is careful about what one employs. TO: The title Dazzling Mirage I have actually been thinking about how it connects to the story. I noticed that the moment Funmi realized that her foster parents were not her real parents, she goes out of the house in annoyance and then perches on a seat. Almost immediately, she sees a strange light which draws her attention and then as she walks towards it, it begins to move further off and then she almost drowns herself, before she was rescued by some men. TK: I think the writer Yinka Egbkhare should be able to answer that question. For me at a point, I saw its validity when Funmi was at the clinic, the physical condition, the husband comes around, he is hopeless and confused. And then finds the poem Funmi had written in a drawer. For me all those things and, most especially the poem connects the title to the story. TO: To say something like not all that glitters is gold. TK: Yes we could see it that way. TO: Unfortunately, the man who she thought would be her husband ends up with someone else. He was just a mirage. TK: That is a point because if you think you have found what you are looking for you better be sure because, it has got to be concrete. TO: It was shocking to see Funmi and Mr. Toyibi end up together, and I think this is where the suspense climaxes. 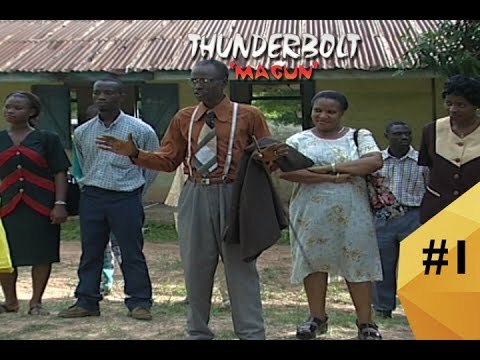 No one would have thought that they would end up together, much like Ngozi and the medical doctor in Thunderbolt. It is shocking. TK: Yes. You know people were apprehensive, about whether she would survive, but in the end she lives. TO: The same experience Ngozi goes through. Because, one would hardly think about it, after all the insults the suitor had to endure from her, it would be impossible to believe that she would return to him for help. TK: Fate determines a lot. No one could have thought that out too. 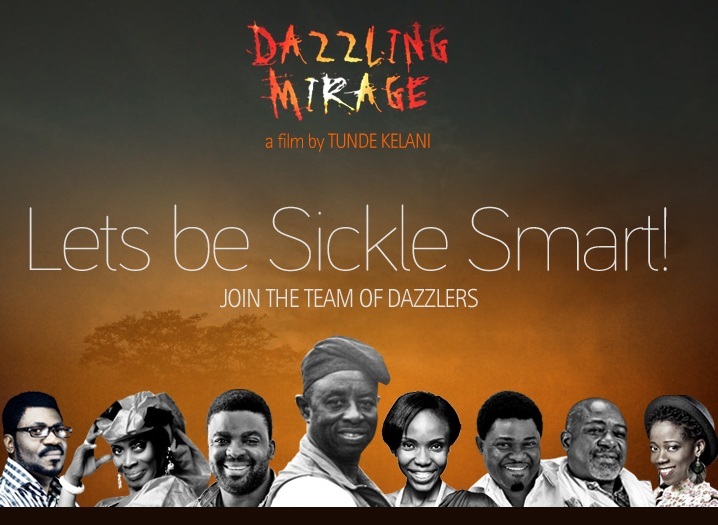 TO: So do you still intend to put Dazzling Mirage on DVD? TK: I do not think so? I have not fully recovered from the disaster my works have experienced in the hands of the pirates. I am still feeling the financial strain and burden. It is difficult to narrate what one passes through. Each time one thinks about it, one is still thinking of how one can, monetize it. It is not just possible any more to put my films on DVD. 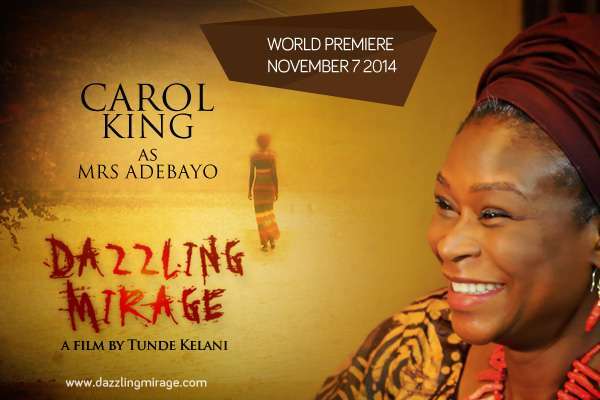 Dazzling Mirage is not online, and I have not licensed anyone to put it online. However, it will still go to festivals but I do not know how I can recoup the money. TO: One can imagine what the New Nollywood filmmakers are going through as well. Some of them who screened their works at cinemas are yet to break even. TK: They cannot. The system is so bad, and it will not allow them. TO: A film like Isoken by Jadesola Osiberu, was screened earlier in year. The filmmaker Jade is still trying to recover the cash she put into it. TK: That was a success story. The bank of Industry sponsored it, and I hear it was a success story. She made a lot of money. TO: I doubt it. She narrated her ordeal and, I do not think she was happy about the way things turned out. She is yet to finish up payment. I think it is a common problem right now for a lot of them to break even, and even if they did break even-it would be very slim. TK: I do not think anyone can break even. The Bank of Industry had earlier explained the formulae to me. They said that even if a filmmaker claimed he or she made a hundred million Naira the producer may not take home less than say thirty three percent of the earnings. That is just the reality. Now, your chances of making a hundred million is very slim and that is the truth. The cinema houses that screened your film would have to be paid heavily. Except, you are able to get sponsorships, the bank would have to police you; monitor your earnings, and make sure they recover their capital. The situation can only be solved if we find the right channel that will be available to fund African films. We have not found that proper model yet. There must be a suitable model for funding. We keep talking about being the second or third largest producer of films after Bollywood or Hollywood, when there are no institutional structures and government supports. I am not sure. I feel so different about all this. Babatunde Onikoyi enseigne le cinéma africain au Department of Performing & Film Arts, Elizade University, Ilara-Mokin, Akure, Ondo State Nigeria. Le modèle nigérian de la vidéo domestique est-il exportable ? "Le Nigeria est l'espoir du cinéma africain"